One of our team member took part on a regional conference in Sovata (Mureş county) on the 27th of September 2014 which was focusing on the local history of the town and its surrounding region (III. 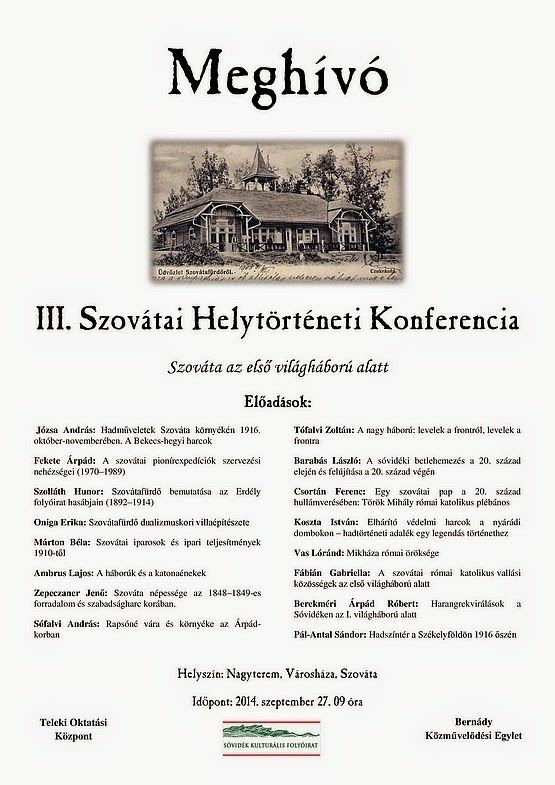 Szovátai Helytörténeti Konferencia / The 3rd Conference of Sovata’s Local History). The presentation entitled “Mikháza római öröksége” (The Roman Heritage of Călugăreni) promoted the archaeological and cultural site of the Roman settlement and military fort, presenting the main results and achievements, as well as projects concerning the cultural and touristic potential of the settlement.